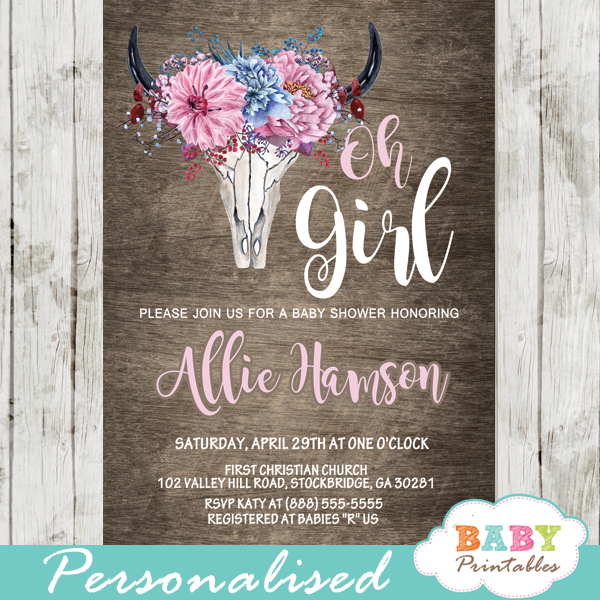 A little ballerina shall be making her debut any day! 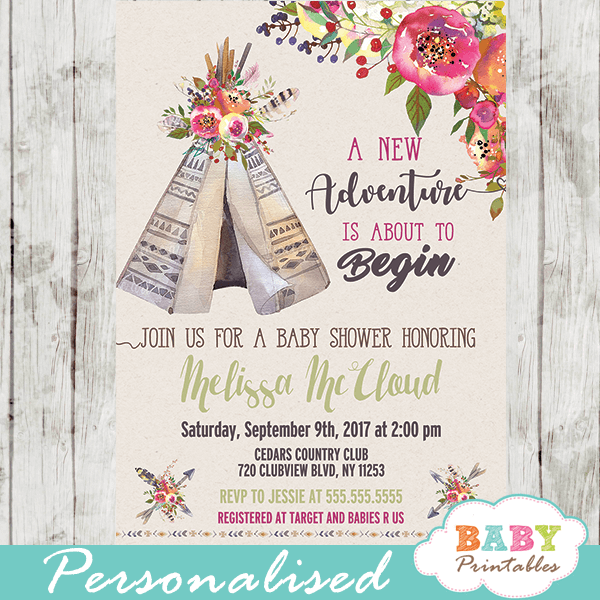 Celebrate the upcoming birth of your little girl with these adorable tutu baby shower invitations. 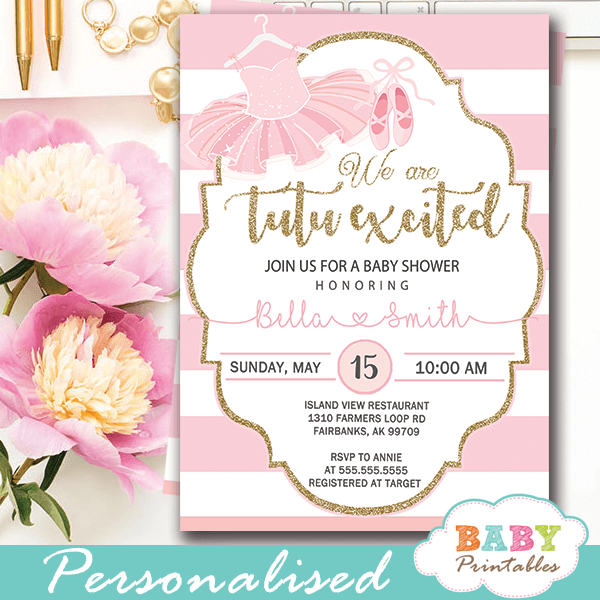 These Tutu Baby Shower Invitations feature a cute little pink tutu dress on a hanger and ballet slippers against a pink and white striped backdrop. 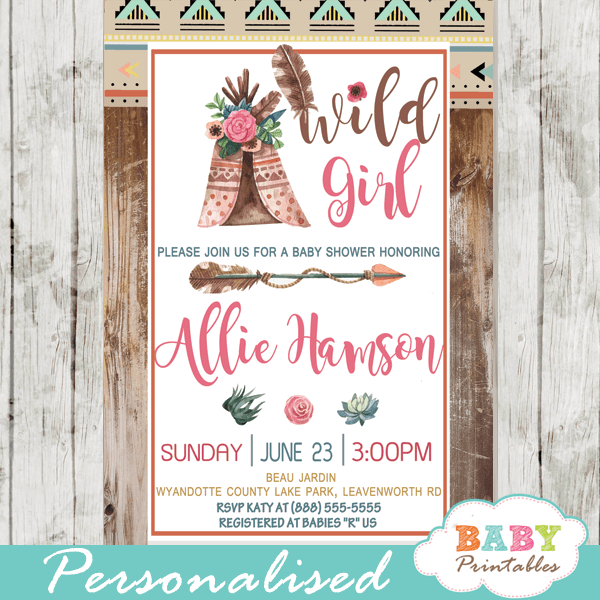 This design uses a mixed modern typography in gray, pink and faux gold glitter. 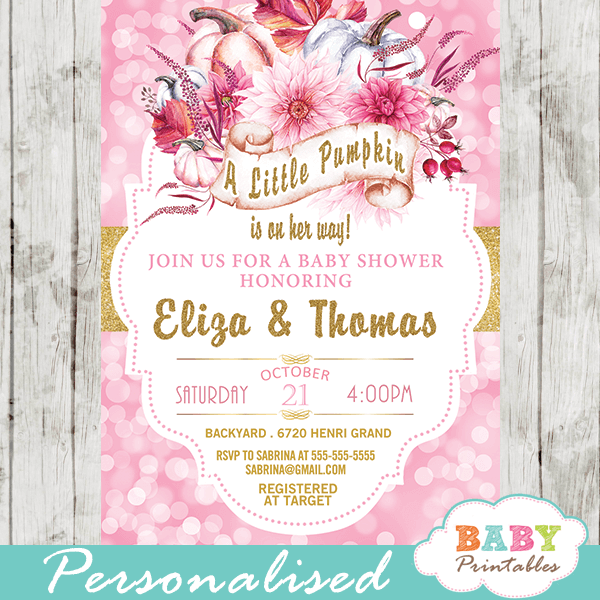 ★ Click to view our ballerina baby shower collection.